The condition of the baby boy born at 25 weeks of pregnancy weighing 550gms was extremely critical because of the extreme prematurity and low birth weight. The 46-year-old mother had given birth to twins through IVF in a private hospital in the city. While unfortunately, one baby did not survive, the second baby was put onto life support for severe breathing difficulty due to the condition called ‘Respiratory distress syndrome’. The baby was immediately transferred to Jupiter Hospital in an incubator. The baby was kept on life support for the first 11 days and subsequently shifted to different respiratory support called CPAP for 1 month. Special catheters were introduced through the baby’s umbilical cord to give nutrition and monitor baby’s blood pressure. Feeding started with mother’s milk through a 0.5 ml tube and then gradually increased to the desired amount over a period of first eight days. Due to the advanced equipments, trained medical and nursing staff, the baby did not have ventilator related complications. During the treatment, the baby had an episode of severe infection which was immediately picked up by the full-time doctors at the Neonatal Intensive Care Unit (NICU), and was treated aggressively to prevent complications. Baby also required blood transfusions for anemia. “It is challenging for medical and nursing staff to look after babies born at 25 weeks. Babies born at this gestation have very immature organs like lungs, intestine, brain, skin etc. Most of the complications arise due to immaturity of organs and infection. Because of specialised medical and nursing staff, advanced equipments and parental support we managed to discharge baby without major complications” said Dr. Shrinivas Tambe, Consultant Neonatalogist and Paediatric Intensivist Jupiter Hospital, Pune. “Another challenge in babies born at this gestation is ‘bleeding in the brain, chronic lung disease and retinopathy of prematurity’. Because of ventilation strategy, amount of oxygen supplied to the baby we were able to prevent these complications. Survival without these complications is extremely rare in babies born at 25 weeks of pregnancy” said Dr. Sachin Admuthe, Paediatrician at Jupiter Hospital. After the 99 days of battle, the baby has been successfully discharged on the 100th day and weighs 1.670kg now. Baby will be closely monitored for his growth and development. This is third extremely premature baby weighing less than 700gms who has been successfully discharged from Jupiter hospital within last three months “We are very thankful to the doctors and the entire staff of Jupiter Hospital for showing their promptness and care to save my baby” said an extremely emotional (Mother Name). This was probably their last chance to become parents. 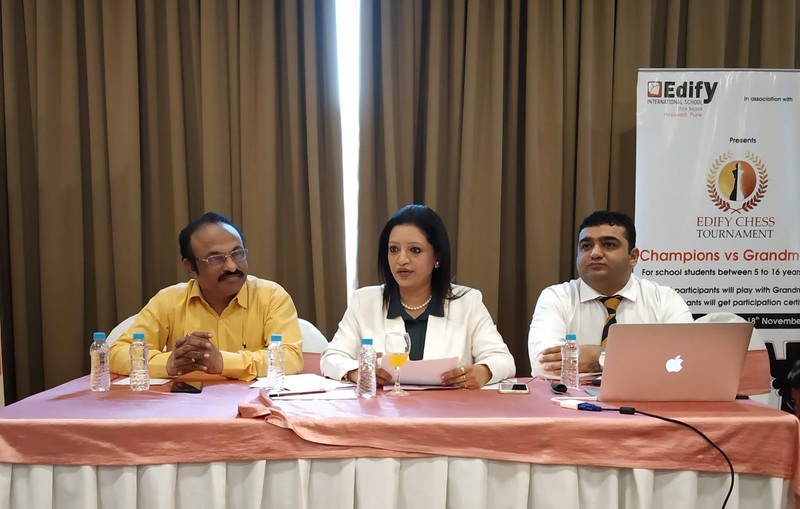 Pune, October 16, 2018: Independent representatives of Direct Selling company QNET have once again come together to brighten up the festive season for the underprivileged. In a series of events spread across 21 cities throughout India, various groups of Independent Representatives have come forward to raise money to help the underprivileged communities. Around 100 young entrepreneurs, who run a successful direct selling business with QNET, have pledged between INR 50,000 to INR 1 lakh per city towards important causes benefiting a local community in need. This is the fourth year that these entrepreneurs have initiated such an exercise during the festival season to reinforce their commitment to helping communities and their own belief in the spirit of giving. Funds raised by the group this year will be used to help orphanages, homes for the disabled and the elderly, and for the education as well as provision of life-saving medical treatment to children in need. In Pune more than 20 such entrepreneurs came together and distributed groceries, toiletries and blankets at the Madhurbhav Bliss (AJ Foundation) Old Age Home. Entrepreneurs have also planned 38 other such charitable initiatives in Chennai, Hyderabad, Bangalore, Pune, Kolkata, Bhubneshwar, Hubli, Mangalore, Mysore, Patna, Delhi, Lucknow, Jaipur, Chandigarh, Jammu and Meerut, between 14 October and 7 November 2018. “We have been fortunate to find our path and purpose with QNET which has helped us transform, not only our lives, but the lives of those around us. Giving back to our community during this auspicious festival season is our way of paying it forward.” said Mahesh who leads the effort of the group in Pune. The second such event will be held on 31st October at the Sanmati Bal Niketan Sanstha, Manjari Budruk. Pune, India, October 23, 2018 – Payoneer, an innovative cross-border payments company that drives global eCommerce, has been featured in the CB Insights 2ndannual top 250 companies in Fintech sector, the only fintech company that provides cross-border payment services exclusively for B2B trading sellers and freelancers to have made it to the list. With Payoneer’s fast, flexible, secure and low-cost solutions, businesses and professionals in both developed and emerging markets can now pay and get paid globally as easily as they do locally. Founded in 2005 and based in New York, Payoneer is venture-backed, profitable and ranked in the top 100 of Inc. 5000’s Financial Services companies and was awarded a spot on the 2018 CNBC Disruptor 50 list. India, October 24, 2018: KPIT (BSE: 532400; NSE: KPIT), a global technology company specializing in providing IT Consulting and Product Engineering solutions and services to Automotive, Manufacturing, Energy and Utilities companies, today reported its consolidated financial results for the second quarter and half year ended September 30, 2018. Edify International School Pune in association with Pune District Chess Association is all set to bring a unique Chess tournament for school students aged between 5 and 16. The preliminary rounds are scheduled between 17-18 November, which will witness around 1000 participants from Pune and the top 12 finalists will get an opportunity to play against Viswanathan Anand in a 1: 12 match on 8th December at Edify International School Hinjewadi, Pune. This will be the most unique opportunity for Pune students as it involves our own Grandmaster Viswanathan Anand, the tournament will be telecasted live on youtube. Speaking on the occasion, Ms. Chand Budhrani, Chief Operating Officer (COO), Edify International School said, “Viswanathan Anand is the brand ambassador of Edify International School Pune and the management wanted to provide a unique opportunity to students to play a match against Grandmaster hence the chess championship is being organized to select the top finalists”. The prize money for top 7 participants will be 1) Rs.10,000/- 2) Rs.6000/- 3) Rs. 4000/- 4) Rs. 2500/-, 5)2500/- 6) Rs. 2000/- and 7) Rs 2000/-. Mr. Joseph D’Souza, Chairman, Pune District Chess Association, said “It is a golden opportunity for the youngsters of Pune to participate in this event and qualify to play with ex-world champion, the legendary Viswanathan Anand, it will be a boost for the talented player of Pune they will be getting tips from him”. The championship has a registration fee of Rs. 300 and the revenue generated through this fee will be utilized to sponsor a girl child education from the underprivileged background to study at Edify Hinjewadi Pune. BLiSS scholarship will be offered to a student in Grade 6 and will be identified through a unique talent identification program through Teach for India. Edify International School is located in Pune’s premier IT hub. The school offers a broad, rich and challenging curriculum based on the world-renowned IB programmes. It promotes a strong foundation in the academic disciplines, a broad exposure to the liberal arts, and selective opportunities to pursue individual interests. As students’ progress, the programme becomes increasingly flexible and offers a wide array of electives beyond the core curriculum. This is the first academic year of the school which is a candidate school for IB PYP and MYP. It also offers sports facilities including tennis basketball football skating badminton swimming and squash. Music, dance, drama, visual art and design are the important part of the school offering. Special gift for Mumbai this Diwali – the largest dining room on the sea! This Diwali, Mumbai is all set to receive a very special gift – its largest ever dining room on the sea. On November 10, India’s financial capital will witness the unveiling of its largest ever floating restaurants, giving diners the enviable experience of having a sumptuous meal in the middle of the Arabian Ocean while catching on the city’s iconic skyline. The restaurants on board two large ships - Queensline Neverland and Queensline Sea YAH will be parked a few miles into the sea off Mumbai’s iconic Gateway of India. Each ship will be able to accommodate 450 diners at any given point of time. The restaurants will be multi-cuisine and will have the best flavours from across the world. There is however, another bonus – the ships will also cruise across Mumbai’s shoreline, giving diners an unparalleled experience of seeing India’s majestic city at sun set over a sumptuous meal. The restaurants are owned by Delhi-based entrepreneurs and husband-wife duo Mridul Thirani and Shripriya Dalmia Thirani. It was the idea of senior minister in Prime Minister Narendra Modi’s cabinet, Nitin Gadkari, to open up Mumbai’s Eastern Sea front and turn it into a Riviera similar to that in the Mediterranean or Western countries. Gadkari is expected to open the restaurants along with a host of other dignitaries included the Chief Minister of Maharashtra, Devendra Fadnavis on November 10. Passengers will be picked up from designated points across Mumbai’s coastline and taken on board the ship for an unparalleled dining session coupled with a cruise that would allow people to see the city from the water. “The wait is almost over. This is our gift to Mumbai. People in this city love to work hard and party hard. We wanted them to have a brand-new place to relax and what better than the middle of the sea, looking at the shoreline – the imposing sky scrapers creating a perfect silhouette against a setting sun. The food will be the best of global flavours. Indians don’t have to travel abroad for such flavours anymore,” Shripriya Dalmia Thirani said. The ships have been bought from Turkey. Interestingly, the duo hurled the Indian flag over the Bosporus in Istanbul along with two of the ship’s original owners before it set sail for India. History was made when the duo in their late 30s won the first ever bid to open restaurants on the Arabian Sea. Both of them who are rank outsiders in the food and restaurant business beat industry honchos and swung the tide towards them by a demonstration of their sheer love for Mumbai and its waterfront. Shripriya also intends to open the ships for fairy tale destination weddings. “Water is a very auspicious space and perfect for Indian weddings. Many Indian families you will see now are travelling to sea-side destinations for their weddings. Now they don’t have to travel too far. I have brought that fairy tale to their doors now. The two ships can be a perfect host – maybe one for the bride’s side and the other for the groom’s,” she added. According to Shripriya, food is central to the DNA of India. The psychographic profiling of India’s youth confirms that they are very liberal, enjoy experimentation and greater consumption. Eating out is a habit and not an occasion driven activity. The rise of eating out economy has propelled the restaurant industry to $48 billion, according to a report by the National Restaurant Association of India.Interestingly, Mumbai is the tourism hub of India which boasts of over 55 million domestic visitors and 5.10 million international visitors annually. Over 15 million people inhabit the city. Mumbai houses over 500 restaurants. But till now, not a single restaurant has been on the Arabian sea. There is already a rush to book space on the two vessels. Shripriya, a mother of three, is the alumni of The Indian Institute of Learning and Management which is affiliated to the University of Bradford and an MBA from Symbiosis Pune, says pre booking will begin mid-October.